You have asked for it and we listened. 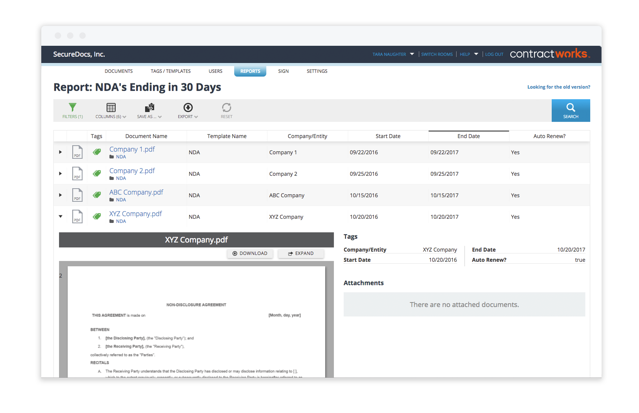 ContractWorks reporting interface has a whole new look, making it more interactive, and easy to use. 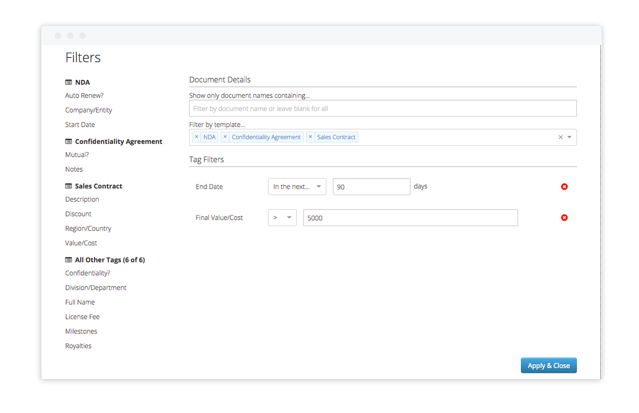 When viewing a report, you can now see a preview of each contract included in that given report and download the contract right then and there. Simply click the black arrow to preview the contract. An added bonus in this preview mode is you can also see any attachments associated with each contract. When filtering a report by a specific template, you can now see the tags associated with that template at the top left hand side of the filter box, along with all other tags created. These added enhancements make it even easier for our clients to generate custom reports based on the criteria of their choosing. Making contract communication even more efficient. Interested in learning more about these new enhancements? Register for our next training webinar, ContractWorks Reporting Enhancements on Wednesday October 25, 2017 from 10-10:20 AM PDT.